The organisation has mentored over five lakh students across 18 states. 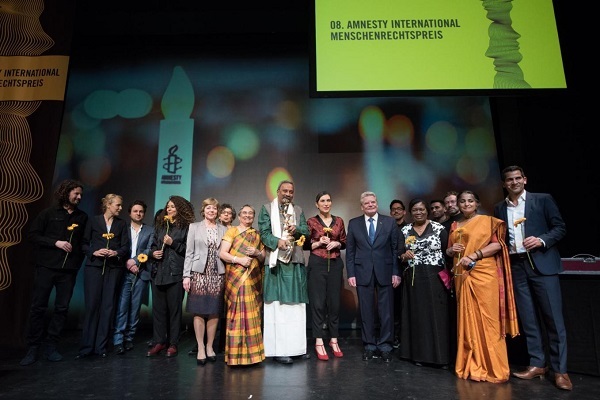 Indian lawyer and human rights defender Henri Tiphagne was awarded Amnesty Germany’s 8th Human Rights Award on Monday at the Maxim-Gorki-Theatre in Berlin, in recognition of the work carried out through his organisation People’s Watch. 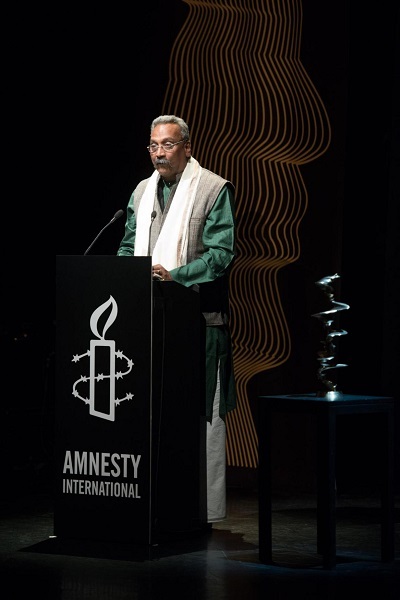 “Henri Tiphagne’s passionate advocacy in the fight against torture and discrimination in India is exemplary and serves as an inspiration for activists all over the world who are campaigning for human rights,” said Selmin Çalışkan, Director of Amnesty International Germany, according to a press release issued by Amnesty International. Founded by Tiphagne in the mid-nineties, People’s Watch works towards providing legal intervention for victims of human rights violation. The organisation is also a proponent of human rights education and has mentored over five lakh students across 18 states. “We would like to thank Amnesty International for this award, which reminds us that we are not alone in our fight for human rights. India has a vibrant civil society: I am humbled to accept this prize on behalf of all the brave women and men who tirelessly campaign for human rights in India. However, the space for civil society activists is shrinking constantly. The government leaves us no space to breathe,” said Henri Tiphagne on receiving the award. Monira Rahman from Bangladesh (2006), Women of Zimbabwe Arise from Zimbabwe (2008), Abel Barrera from Mexico (2011) and Alice Nkom from Cameroon (2014) are some of the previous recipients of the award.